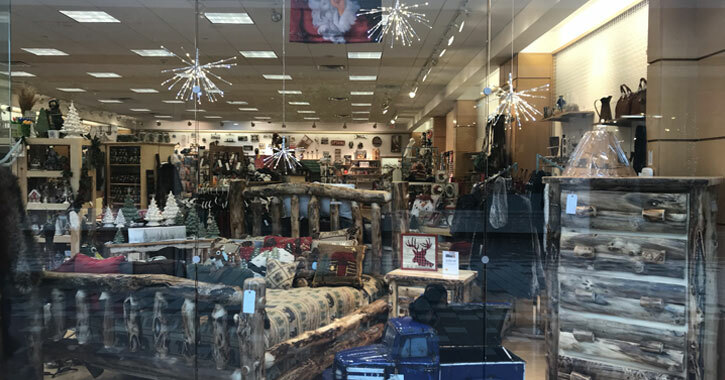 We can now enjoy a sample of the Adirondacks right here in Saratoga at the locally owned and operated Big Moose General Store, where you’ll find unique, rustic gifts and decor you won’t see anywhere else. Owners Jim and Mo (the Campiones) live locally, buy local items for this store and their other businesses whenever they can, and hand select every item in the store themselves to ensure only the best products are in stock. In fact, they even offer their own line of high quality pantry products. Read on to see what you can expect from this charming store. The Campiones own a seasonal Big Moose General Store in Lake George, which has made a name for itself with its unique array of rustic, high-end items and decor. The owners wanted to expand their concept of providing top line, Adirondack-themed products into a year-round shopping destination. When an opportunity arose to acquire space in Wilton Mall, they jumped on it. Jim and Mo are hardworking businesspeople who own multiple businesses, including Big Moose Furniture Company, and they are in these stores working alongside their employees every single day; they’re not sitting in an office somewhere delegating. The Campiones source items for the Big Moose General Store at trade shows, from local crafters and artists, and regionally. Everything is high quality and if not locally made, at least American made. 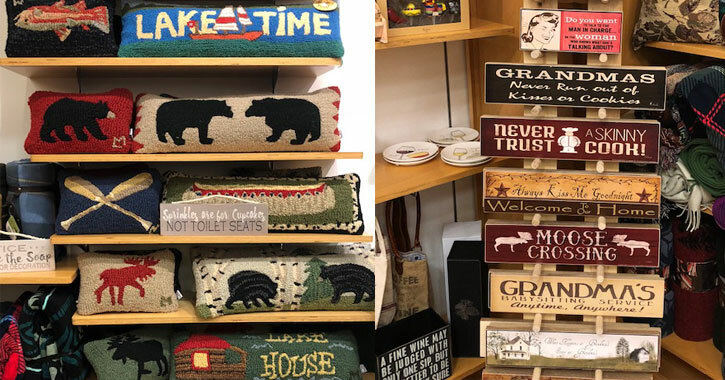 When you walk into Big Moose General Store, you’ll find a huge layout of items for inside and outside the home, seasonal decorations, handmade signs, scented candles, glassware, pottery, stuffed animals, funky collectible items, and more. Items like Adirondack-themed pillows and tree ornaments make perfect gifts. 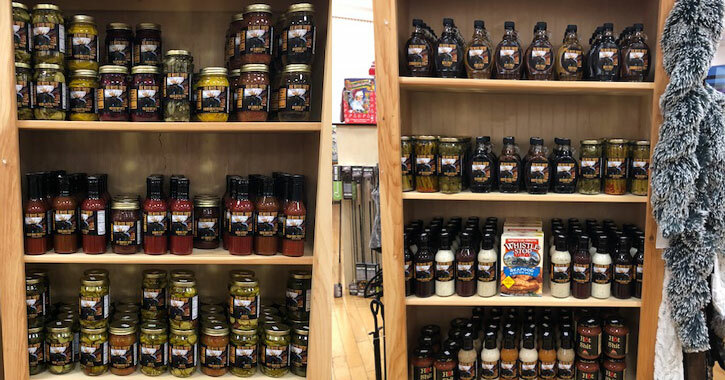 The Big Moose General Store also carries its own house brand of Big Moose Brand pantry products. These are high quality sauces, jams, jellies, and pickles that would make a perfect addition to a gift basket or a stocking. Actually, the Big Moose General Store is a great place to find stocking stuffers with the “wow” factor. There are a ton of small gifts for every budget that will fit into a stocking, and if you need it, they even sell the stockings. Because they choose each item in the store – even going to trade shows to do so when they are on vacation – guests visiting the store know every exceptional piece has been carefully chosen by the owners themselves. 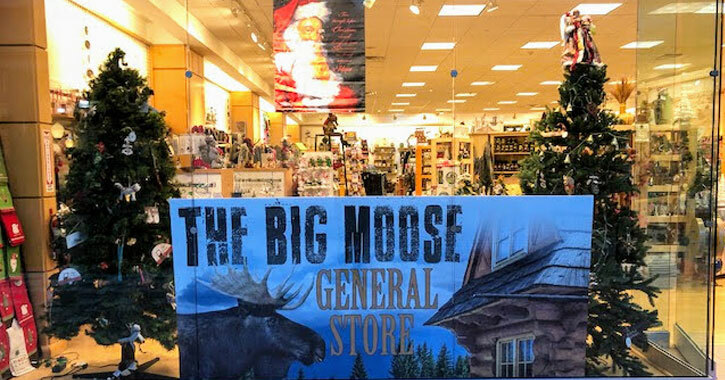 You’ll find the Big Moose General Store in Wilton Mall, close to the center on the lower level, next to Mystic World. The store is open during mall hours until at least the first of the year; the Campiones will revisit the hours at that time. Here’s just one more incentive to visit this unique store: Jim and Mo also own Big Moose Furniture Company, Papa’s Diner, and Campione’s Italian Bistro. If you sign up for the loyalty program at the Big Moose General Store, you can rack up points to use at any of their businesses, and get rewards to use across all of their locations. If that sounds good to you, you can sign up for free while checking out.